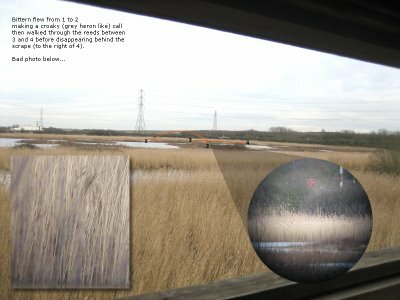 Saw my first Bittern at Wat Tyler Country Park this afternoon. Here's a picture that might help anyone else looking for it. Good luck.